My family and I had such an amazing time on the Island of Hawaii aka the Big Island. Though it was a challenge deciding which island to go to for our first visit to Hawaii (well, I went to Maui as a teen once), this ended up being the best choice for us. After all, it’s the only island with active volcanoes, several different ecosystems, beaches with black, white, AND green sand, and some of the clearest water for snorkeling. There was so much to do and see on the island. So much so that we couldn’t fit it all in. We were there for a full week and were constantly on the go with a jam-packed schedule. But, even then, we only scratched the surface of fun family-friendly activities. I have so many tips and photos to share from our trip but, so that I don’t procrastinate even more, here is a quick summary. You’ll also notice suggestions of other hotspots which we researched but didn’t have time to visit. More posts to come so keep checking back! This is the touristy side of the Big Island of Hawaii with resorts and plenty of shopping. Don’t let that fool you, though. Here you’ll find historic sites and fantastic snorkeling spots. We stayed in a family member’s timeshare at Holua Resort at Mauna Loa Village — loved it! We also found a gluten-free and (mostly) dairy-free crepe shop downtown called Barefoot Zone. 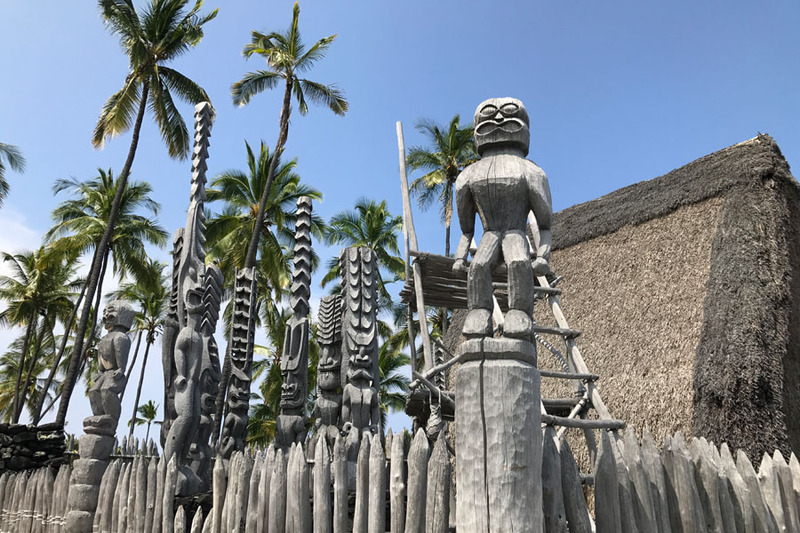 Pu’uhonua o Honaunau National Historical Park aka City of Refuge — Half-day visit of 1-2 hours on sandy walking trails and with a free guide map. Use your National Parks Annual Pass if you have one. 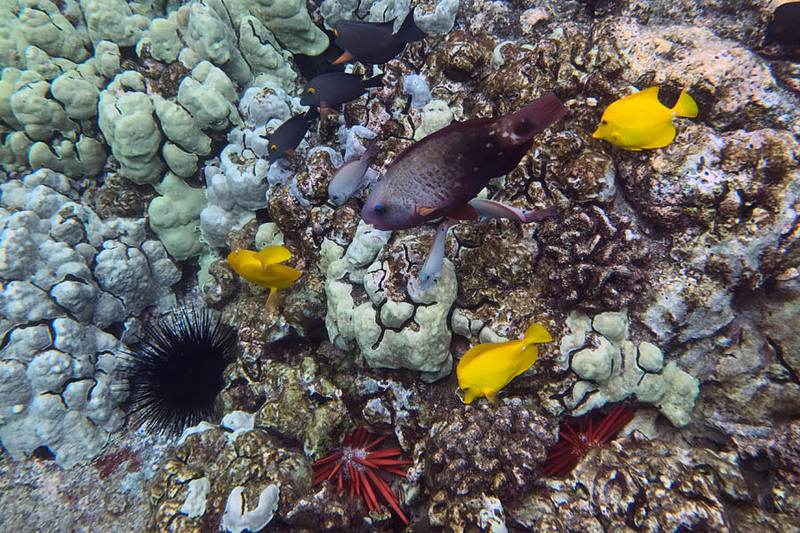 Two Step at Honaunau — Family snorkeling. Visit the Historic park right next to this and keep your car parked there. Kealakekua Bay near the Captain Cook Monument — Take a snorkeling tour or endure a strenuous hike. Famous for the reefs but these have been bleached white over the years. There’s still a ton of fish to see, though. 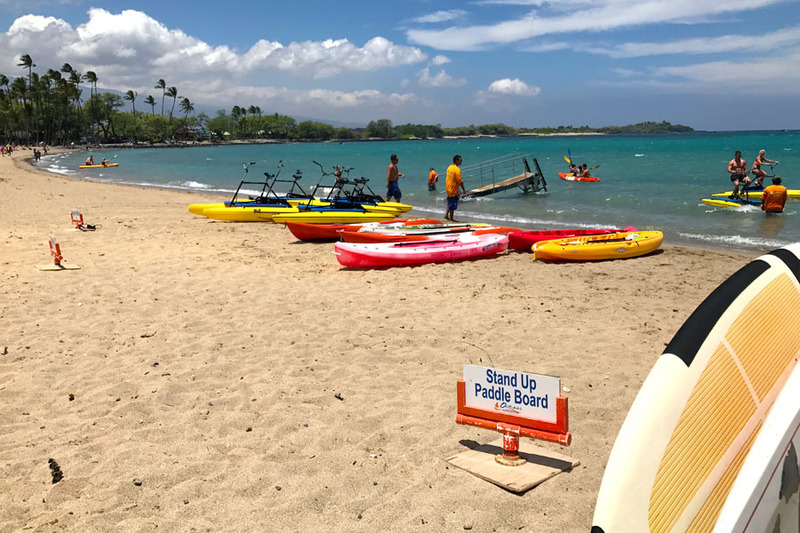 Anaeho’omalu Bay aka A-Bay — Water activities like kayaking and stand-up paddleboards ($40 for four hours of unlimited use with Ocean Sports), eat at Lava Lava, and find sea turtles. Downtown — Shopping and local festivals. Visit Costco to stock up on supplies. Head around the corner to Mrs. Barry’s to pick up fresh baked cookies for your trip and as souvenirs. 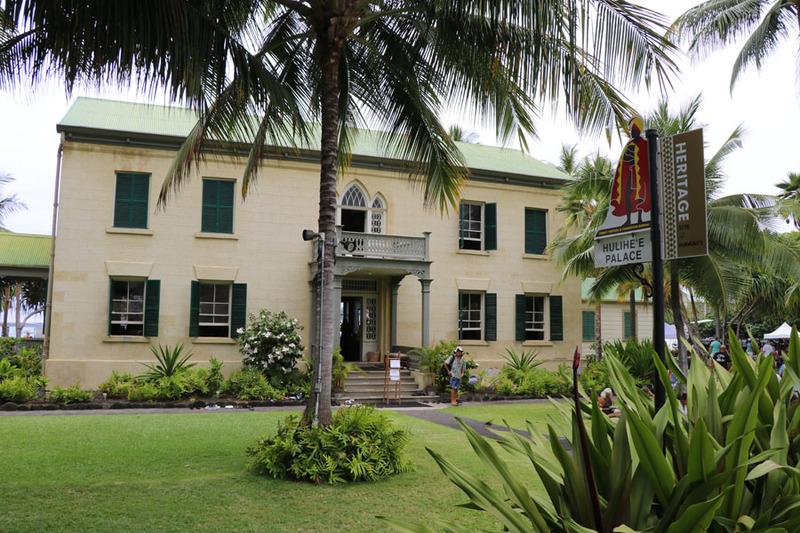 Hulihe’e Palace — See how Hawaiian royalty lived. FYI, you have to take your shoes off to go inside. Night snorkel with Manta Rays — Amazing to see them close up. But, if there’s not a lot of activity and the waters are choppy, prepare for some seasickness on the boat ride home. Hapuna Beach — Famous beach for sunbathing. 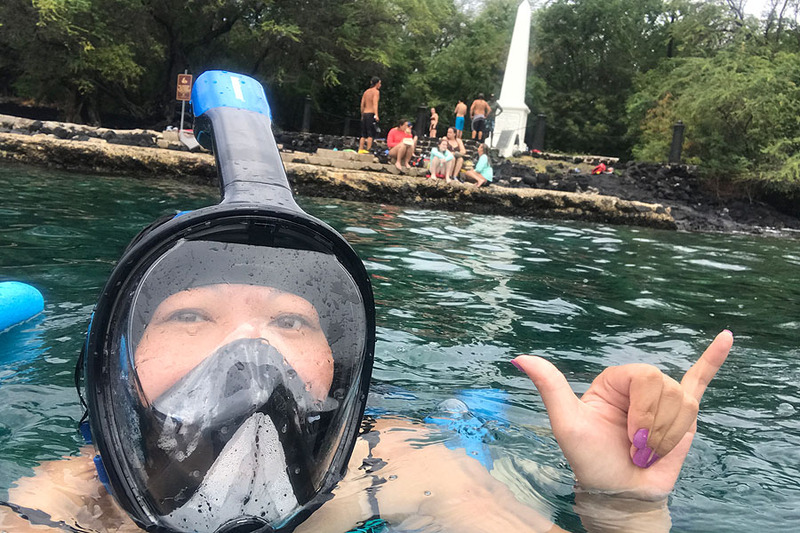 Kahalu’u — Snorkeling, suggested for beginners. Kona Coffee Living History Farm — Coffee tasting. One Aloha — Organic shave ice. Find the largest mountain in the world (in volume and height from the seafloor to the peak). Bring a jacket since it gets REALLY cold and windy at 9,200 ft above sea level. The sunset from here is gorgeous! 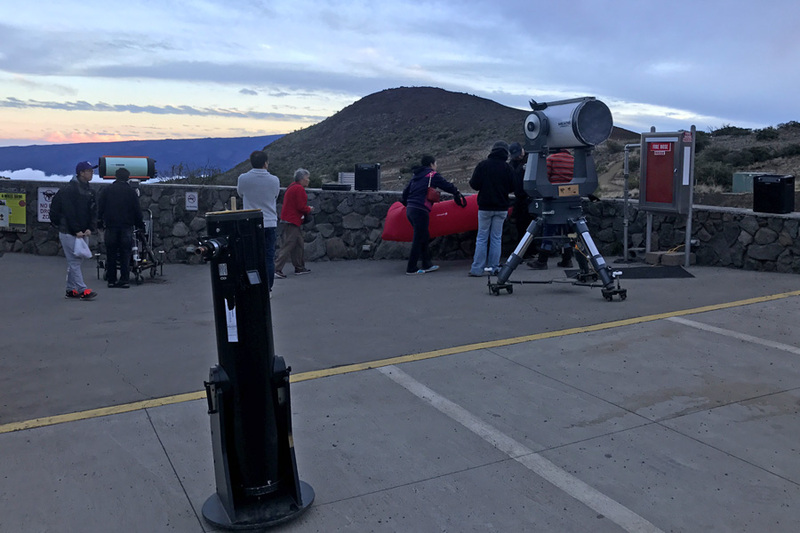 Mauna Kea — Free stargazing at the visitor’s center (VIS). Take a guided tour to the summit for even better views and to get a peek at the observatories. It’s a rough road to the top (13,800 ft) even for rugged 4-wheel drive vehicles. 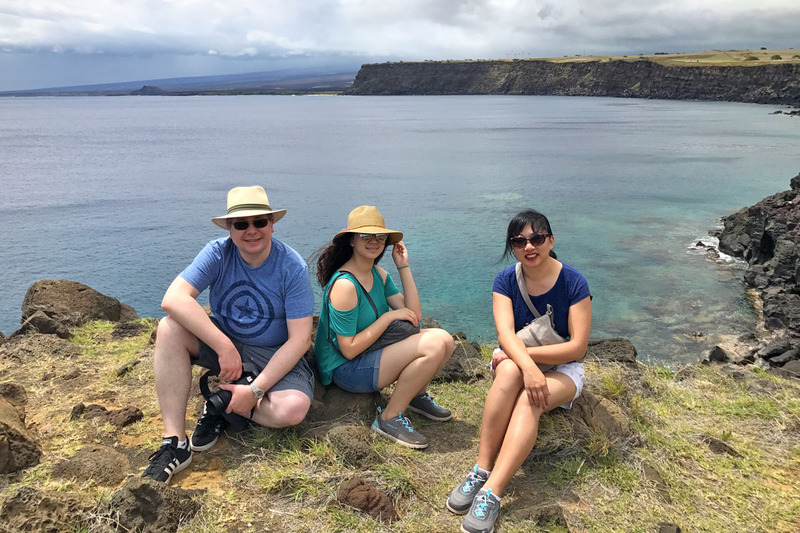 This is where you’ll find those majestic cliffs, lush valleys, and black sand beaches you see in Hawaii vacation advertisements. Pololu Valley — Small parking area but you can hike down into the valley and visit the beaches below. 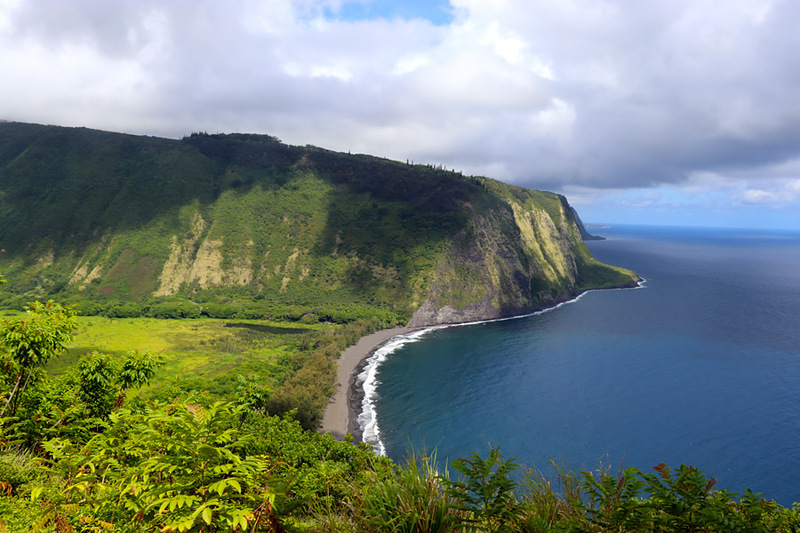 Waipio Valley Lookout / Overlook — Majestic views and easy access. Oh, and there are bathrooms there! If you’re looking for local island life and rainforest conditions, spend some time in this area. Just make sure you choose lodging that is well-insulated due to the “singing” frogs at night. We loved the Grand Naniloa (a DoubleTree by Hilton hotel) and got a pretty good AAA discount. I really wish we stayed in this area longer — natural beauty everywhere! 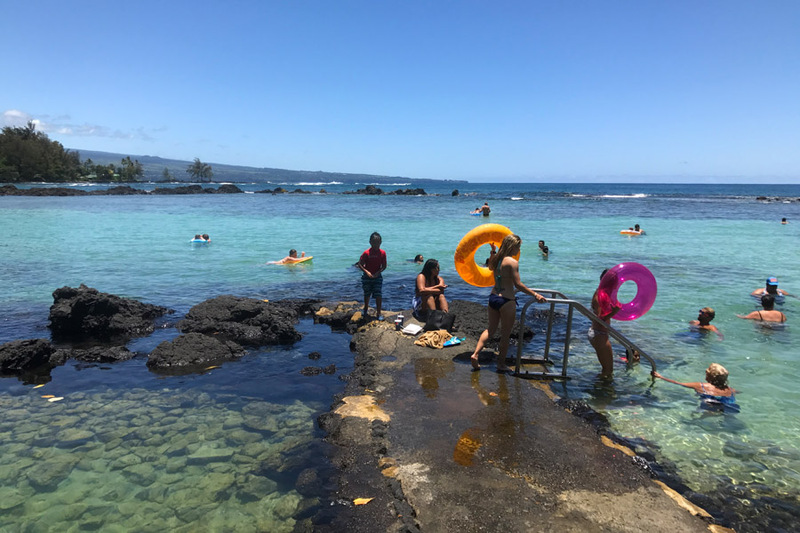 Carlsmith Beach Park — Snorkeling in shallow water, wading, relaxing, not too busy. 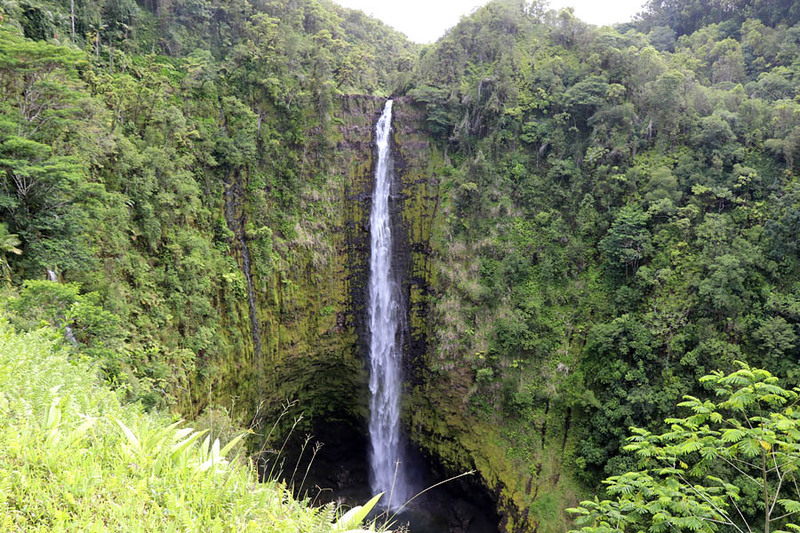 Akaka Falls — Stunning 422 ft waterfall. The trail loop is only 0.4 miles and paved. Ziplining — One of the highlights of our trip. 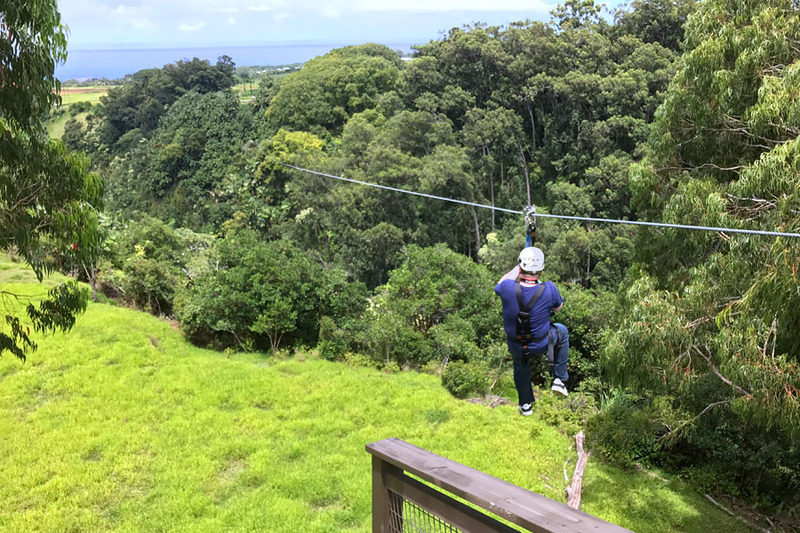 You should definitely book the 7-line zipline near Akaka Falls with Eco Skyline Adventures! Pineapples — Recommended by a local and super popular! 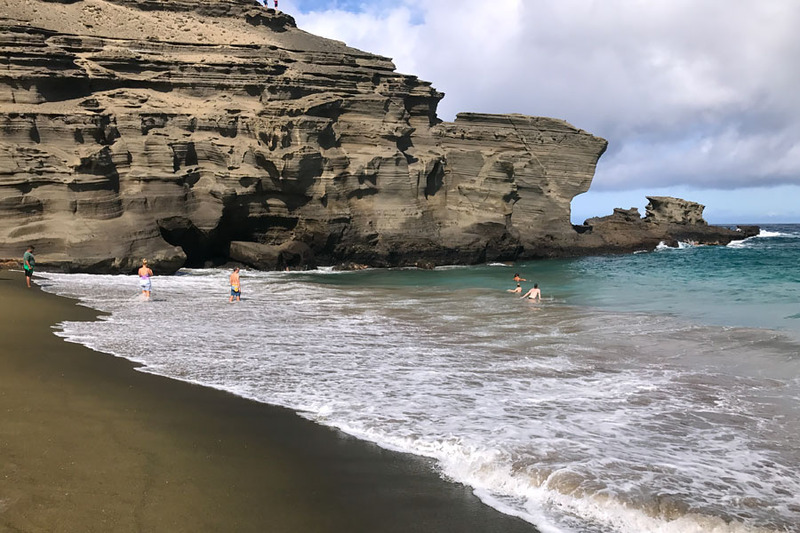 Green Sand Beach — 3-mile hike in the sun or ride with a local in a 4-wheel drive vehicle ($15-20 pp and kind of unsafe). Or, know someone in the area who can take you around like we did — thanks Shawn! It’s better to do the hike and stop off at beachy areas along the way with sand that is even greener. Just bring a UV umbrella, water, and a lot of sunscreen since there is NO shade and it’s an unmarked dirt road. 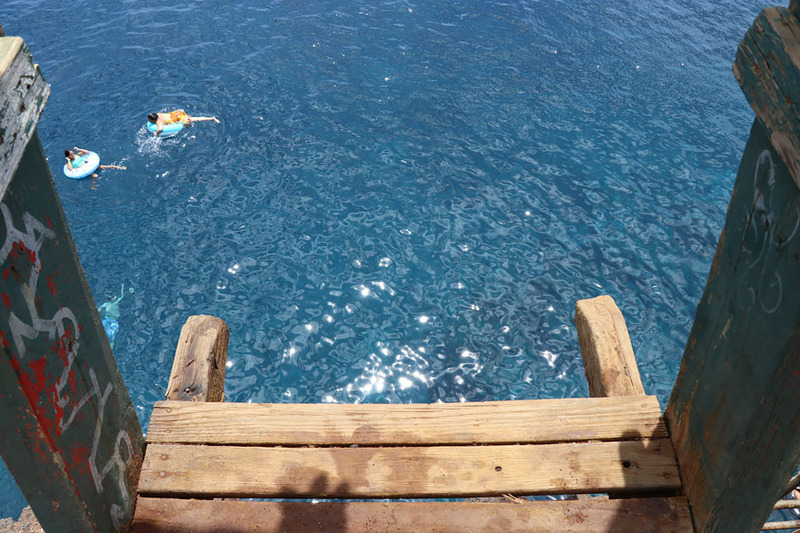 Cliff Jumping at South Point — Visit the southernmost point in the U.S. and try a 30-ft drop off a rickety ledge into deep but calm water. Then, climb a rusted, shaky ladder back up. Adults and kids alike were jumping (though signs are posted everyone prohibiting it). 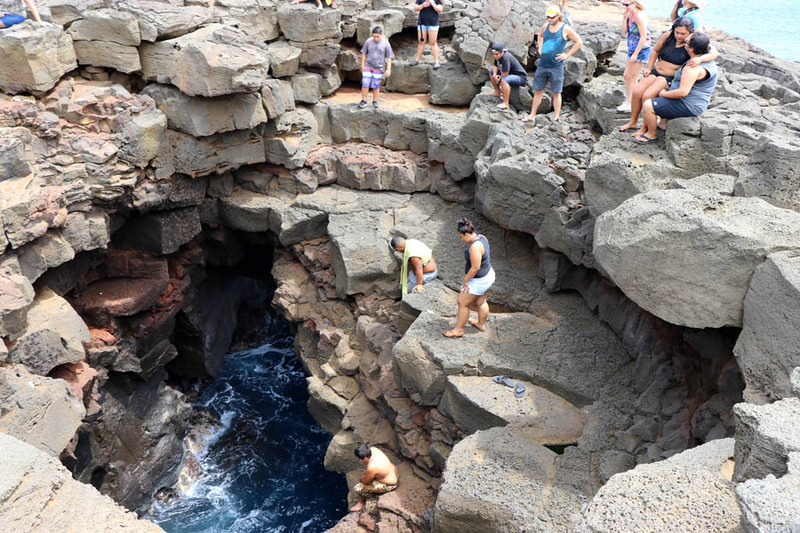 Locals jumped down a hole which was once a lava tube. Tourists should carefully observe the waves so you don’t get slammed against the rocks. We were plenty satisfied to just watch others jump from both areas. 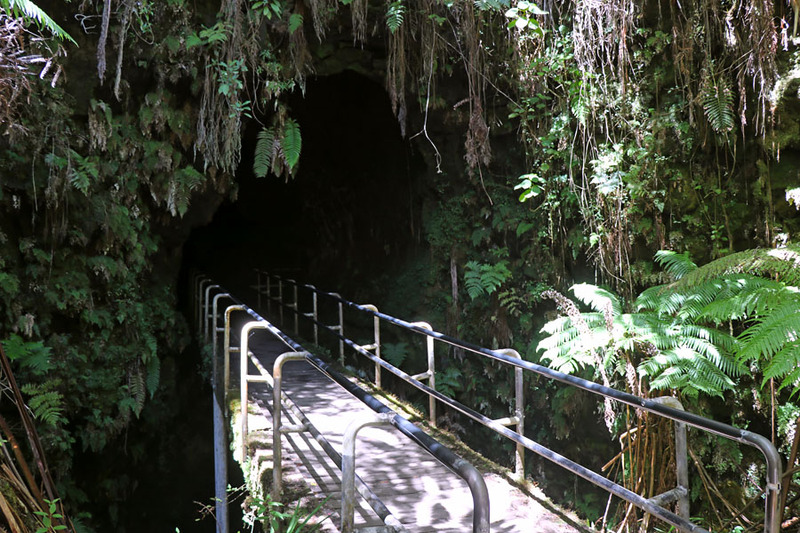 Hawaii Volcanoes National Park — Spend 1-3 days explore. 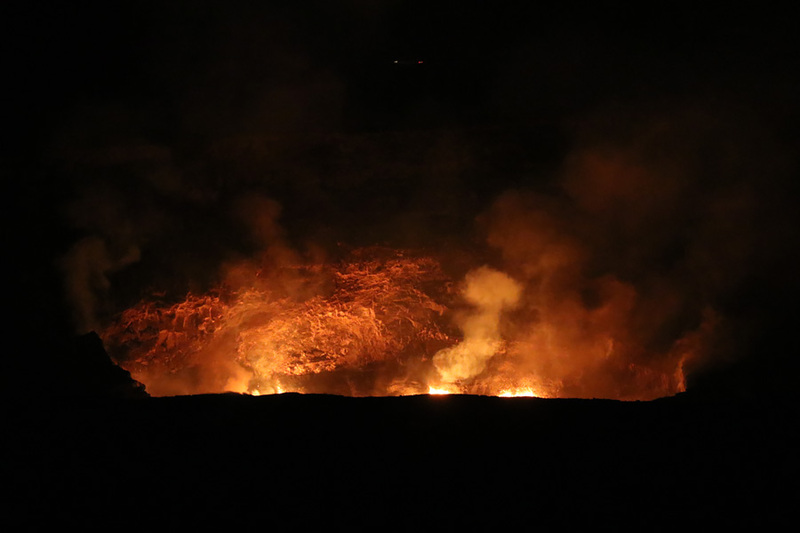 View the lava glow Kīlauea from Jaggar Museum, walk through the Sulphur Rocks, visit Thurston Lava Tube, and drive the Chain of Craters to the Sea Bridge. 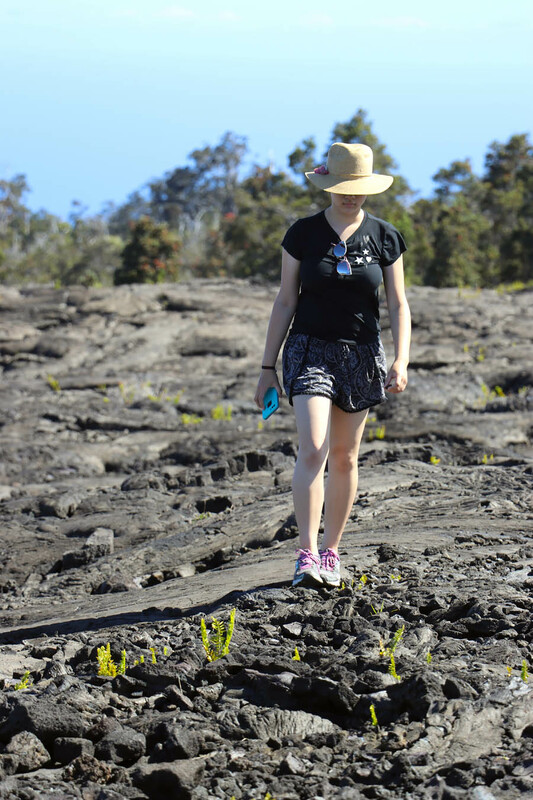 Hike another six miles from there to witness an active lava flow. Again, use that National Park Annual Pass or pay entrance. How Long Should You Visit the Big Island of Hawaii? Whew, see what I mean? Activities galore! So, if you ever plan on visiting the Big Island of Hawaii, I highly suggest that you block out at least two weeks to explore. It was rough trying to hit the hotspots in just seven days. We were on the road some 4-5 hours each day since it took about two hours to get the different areas. Then you have to figure in the round trip, occasional light traffic, and photo or food stops along the way. They don’t call it the BIG Island for nothing! So, if you only have one week at a time, try to focus on only one side of the island on each visit. To cut down on driving time, fly into Kona (west) and fly out of Hilo (east) or visa-versa. Aloha!